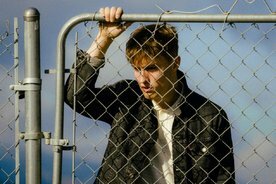 Sam Fender has been generating a lot of buzz with some interesting songs, including the ‘definitely saved some lives’ Dead Boys, a look at the rise of male suicide. There’s been an EP, but now we have final details of the debut LP. It’ll be called Hypersonic Missiles, and the key bit is the release date which is pinned on for August 9th. For those of you who like a bit of Grand Designs meets music, you’ll like to know if was created in Fender’s personal studio in a warehouse.